Are part time jobs for teens really a good idea? The answer is without a doubt – yes! 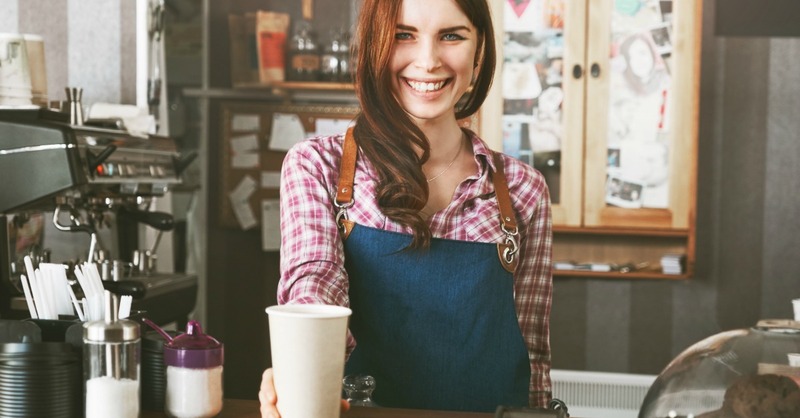 Part time jobs for teens help them develop the life skills and responsibility that they will need heading into adulthood. Plus, one of the biggest things that both college admissions officers and employers say is sorely lacking in our teens today is work ethic. Our kids are often so hyper scheduled in an attempt to give them an advantage for their future, but we overlook all the ways a part time jobs can help teens get into the college of their dreams. So, how do we find part time jobs for teens? You don’t want them diving into a position they’ll hate or something that will be short-lived. Lend your help by guiding them through the complicated process of finding the right job. To narrow things down for you, we’ve pulled together a list of part-time jobs for teens that should fit kids of all interests. Care.com– If your teen loves kids or already has younger siblings that they have experience caring for, this may be the perfect part-time job for them! Care.com helps those looking for babysitting jobs by matching them with the right family. Petfinder.com– Animal shelters are always looking for new and passionate help. Animal caregiving is an excellent opportunity for any teen who loves animals or is planning to go into a veterinary field. Your teen can easily find work with animals by checking this website. A grocery store teaches mathematics, customer service, and fundamental responsibility. By interacting and helping customers, your teen will learn the importance of helping others. Here are some fantastic reasons to work at a grocery store. Lawn care takes strength and determination. Your teen will get a great workout to keep them healthy while also making money! Plus, it’s a great chance to teach them about business! Here’s how your teen can start their own lawn care business. This part-time job teaches the importance of being gentle and respecting other people’s possessions.These are the top moving services where you’re teen might look for work. Movie theatres can be one of the most fun jobs for your teen! If they are interested in films at all, they will love being in this kind of atmosphere! Here is an excellent article about why working at a movie theatre is a great gig! 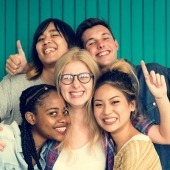 Tutor.com is the perfect place to look for part-time tutoring jobs for your teen. Not only will they have to keep up with their studies to teach others, but they can also save money for college in the process! Is your teen crafty? Etsy is a great way for your teen to express themselves and make some money in the process. Chances are, your teen already knows everything there is to know about social media. Why not put their skills to good use and help other individuals and companies on their social media sites? There are some fantastic Facebook pages that are dedicated to helping people find jobs in social media. There is no better way to improve work ethic than being a waiter. In my opinion, everyone should work in food service at some point in their lives to really appreciate what all goes into the food we eat every day. Here’s a great article that mentions some great reasons to work as a waiter or waitress. Do you have other ideas that would be good part-time jobs for teens?